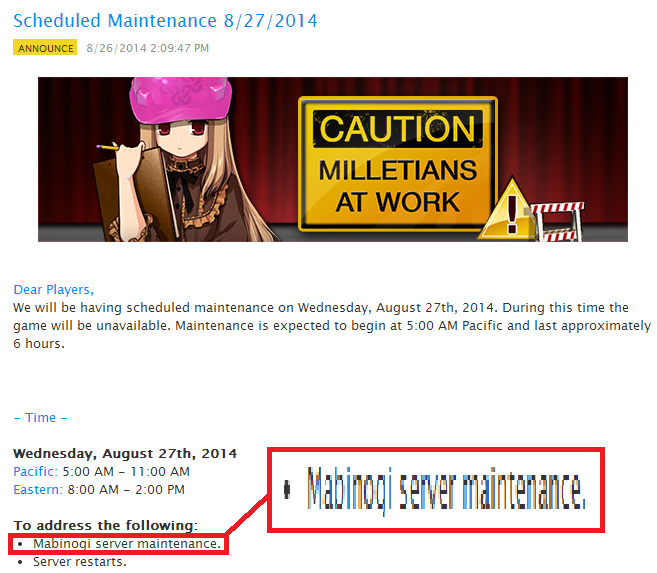 and i saw maintenance, so i figured "hay, lets see what they're actually doing to fix the game!" I am beginning to have mabi withdrawls. Someone feed me smurfs! that reminds me fuzu.... my friends think my hairs blue instead of purple and have started calling me smurfette .-.